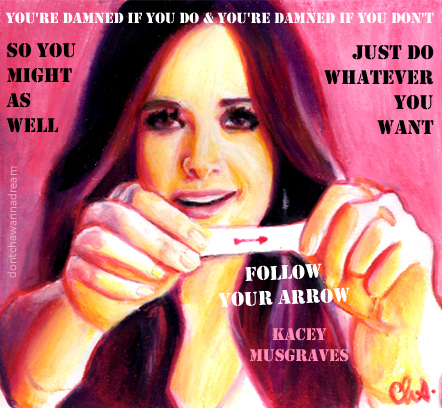 Congrats to Kacey Musgraves on her 2 Grammy wins – for Best Country Song and Best Country Album. So deserved!! Can’t count how many times I’ve listened to Same Trailer Different Park. I must sound like a broken record, but I have no idea who this is, but it’s still a very nice portrait! I really love her music. I’m really into folk/country music but it’s not popular at all in my country unfortunately.